In a damage-control exercise to prevent India's image from being dented in the global market, the civil aviation ministry may issue a guidance to release all Kingfisher Airlines Aircraft parked at Indian airports to international leasing companies. The move comes in the wake of growing disquiet among major leasing companies over India's refusal to hand over the aircraft and fears that much-needed aircraft finance would be stopped to Indian airline companies. The head of Aircraft finance giant International Lease Finance Corp (AIG.N) urged India on Wednesday to release six passenger jets held "hostage" by a bureaucratic dispute after struggling Kingfisher Airlines (KING.NS) failed to pay for them. 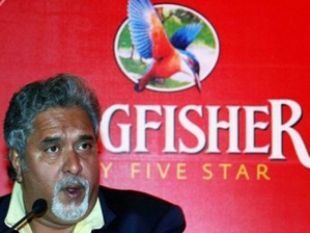 Lenders have started the process of monetising collateral to recover part of their loans from Kingfisher Airlines. The consortium of lenders, led by State Bank of India (SBI), had said last month that they were hopeful of recovering at least Rs 1,000 crore in the current quarter from collateral which includes shares of United Spirits Ltd (USL) and Mangalore Chemicals and Fertilizers, both part of the UB Group. "I am not very hopeful that anything will happen this financial year as it is already mid-March. We are in the process of receiving the call-up authorisation from the other banks," an SBI official said. "It is a complicated account and there are several things that need to be taken care of. This is not a single one-to-one loan." The head of Aircraft finance giant International Lease Finance Corp (AIG.N) urged India on Wednesday to release six passenger jets held "hostage" by a bureaucratic dispute after struggling Kingfisher Airlines(KING.NS) failed to pay for them. ILFC had warned in January that a failure to return leased airplanes to their true owners when airlines cannot pay their bills could put the country's aviation growth at risk by scaring off funding.